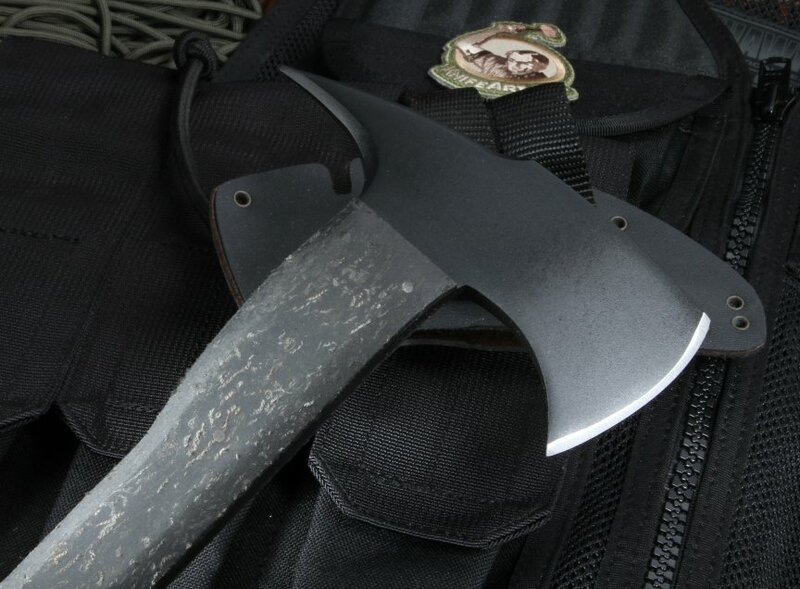 Made with SOF teams in mind, Daniel Winkler's Combat Axes are made for high-quality tactical performance. 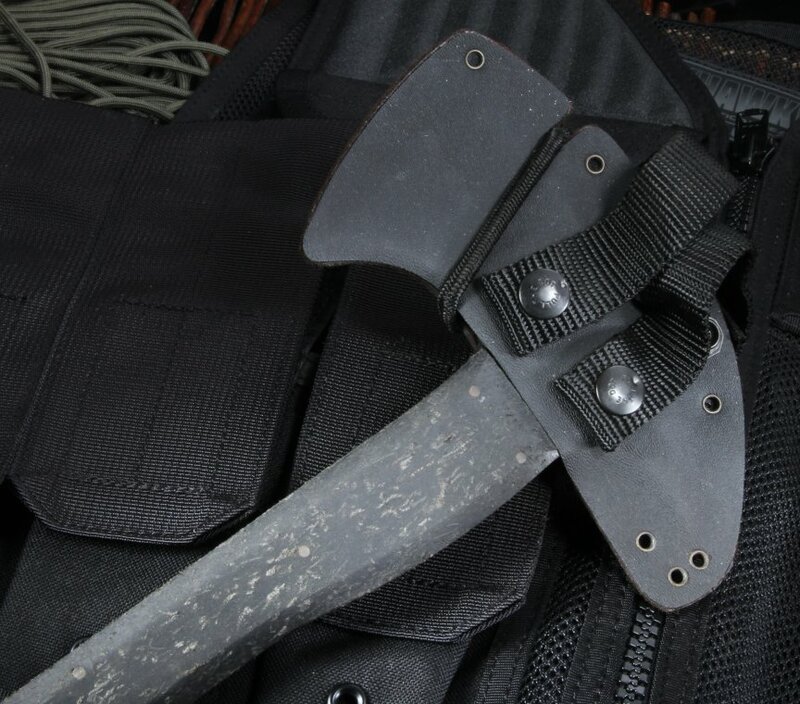 Measuring an overall length of almost 14 inches and a weight of 1 pound and 11 ounces, the Winkler combat axe with a rubber handle holds immense strength without becoming a burden to carry. With an overall black handle and blade, the Winkler looks and feels like a durable and unwavering tactical tool for the best. The axe's blade is 2.5 inches wide on its cutting edge with a length of 6 inches across its head. The blade is made of 80CRV2 carbon steel with flat grinds, providing a sharp and strong edge for hard use. The forward weight distribution makes sure you hit your mark with greater accuracy, especially when you're out on the field. On its other end, the spike allows for greater utility and function out on the field when you need it. With the added Caswell finish, the blade is free from any glare. The high-quality composite rubber handle gives the user great grip and security while holding the axe in dry or wet conditions. The secondary hand grip under the blade allows for quick action. Due to strong rubber material, the handle is wear-resistant for all types of field work and use. The end of the handle features an integral glass breaker as well as a lanyard hole for optional carry. 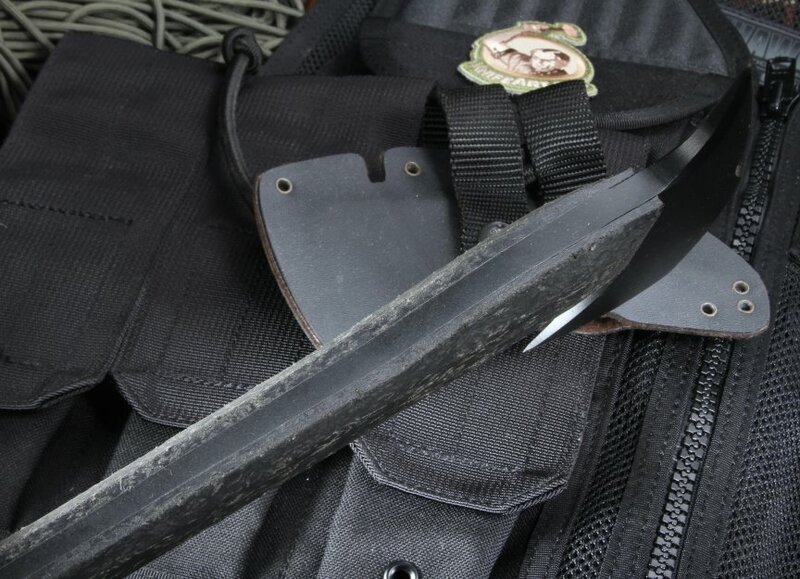 In addition, the axe comes with a custom felt-lined kydex sheath to keep the blade dry and secure. 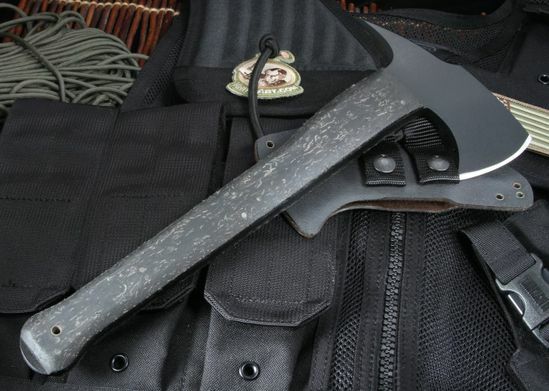 Overall, the Winkler Combat Axe with Rubber Handle is guaranteed to meet all your tactical needs when you need it. At KnifeArt, we'll make sure your Axe is shipped free and quickly with our satisfaction guarantee coverage. As an authorized dealer, you can rest assured that you'll receive only the best in Winkler knives and axes. WEIGHT: 1 lb. 11.1 oz. I have owned many Winkler's knives, they are just awesome ! They are beautiful art pieces and super-functoinal! I love the rubber handle of one of Utility knife and Axe the most, the rubber handles are not slippery with wet or dry hands.